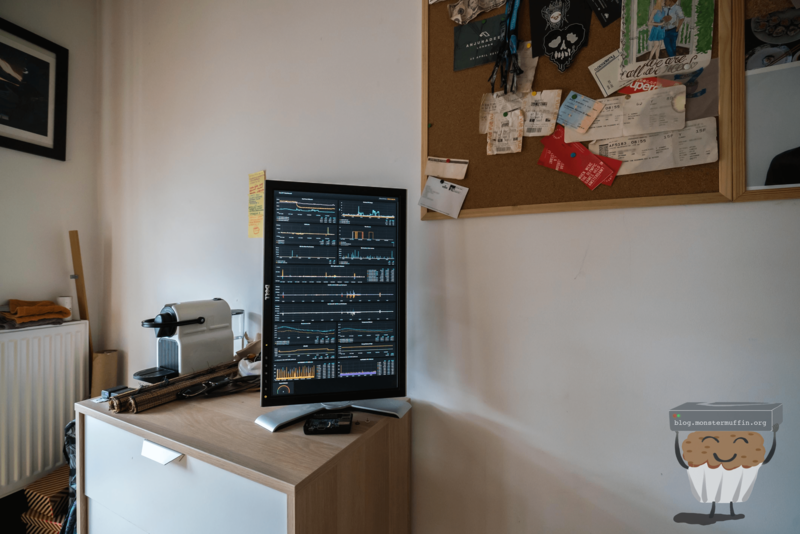 For a while now I’ve wanted a compact, ‘at a glance’ look at some of my lab statistics and other things in my flat, since my lab is elsewhere. Originally I started looking for 4k monitors that could be rotated vertically, then I started looking for small hobby boards that could output in 4k and eventually just putting the project to a side and spending my money elsewhere. Recently, I got an old monitor from work that I was using as a VGA input for some stuff from time to time as my TV has no VGA, but eventually decided that this would be a cool thing to revisit using this monitor, even if it is not as flashy I first envisaged.